(2017). "Advanced Orthopedics Walkers/ Walking Boots". In (Eds.) , WoundReference. 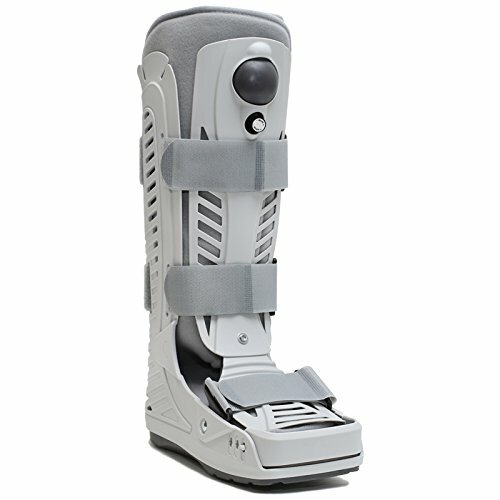 Available from: https://woundreference.com/app/topic?id=advanced-orthopedics-walkers-walking-boots. Retrieved on 4/25/19. The Aero Walker Fracture Boot from Advanced Orthopaedics offers full ankle and foot protection without sacrificing wearer comfort. The Aero Walker comes with thick interior padding made from breathable materials for ultimate support and a cooler fit. The re-enforced adjustable toe guard provides added protection and allows for a custom fit.